When you’ve got a classic car, you’ve got more than just an old automobile which sits in your driveway most of the time. You’ve got an investment on your hands — it’s a collector’s item, a thing of beauty, and a source of pretty immense pride for most classic car owners, and it’s always important that you take the utmost care of your classic car. You might not be taking the thing out on the highway every afternoon as you drive to school or work, but you definitely still want to make sure that your prized possession is insured. Classic cars are by no means inexpensive, and when you make a purchase of that magnitude, you definitely want to make sure that you take the proper measure to guarantee that you’re protected. You can purchase insurance for a lot of things, and your classic car is relatively optional – but if it’s something that you care about, insurance is definitely a good idea. We’ll talk about the main things you’re going to need to know when you’re thinking about insuring that awesome classic car of yours, so that you can know what to expect when you start shopping for the policy and coverage that are right for you. The first thing to know is something of a no-brainer, but it bears mentioning just the same. Owners of classic cars are almost guaranteed to be more interested in taking great care of a vehicle, as they’re probably auto enthusiasts. You should make sure that your classic car is in great shape, because the insurance company might very well just not be interested in insuring it if it’s not well-taken-care-of. Before the car’s inspected, it might even help to give it a very fresh detailing. You’re also going to need to be able to prove to the insurance company that the car isn’t your primary mode of transportation. Show them the registration for your other car (hopefully a more current make and model) that you use for regular transport. You won’t be able to get insurance otherwise. It will also help immensely if you’ve got a safe place to store your classic car. These vehicles get noticed pretty easily and are more vulnerable to theft, so you want to be sure your car can be locked up at night. 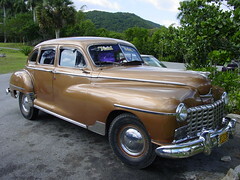 Being an experienced driver will also help you with your insurance, as classic cars aren’t as easily operated. When it comes to car insurance, especially classic insurance, you want to make sure you get your money’s worth. There are, however, certain things about car insurance old car owners need to know. Insuring an investment like that will give you the peace of mind you need to rest easy at night and will let you know that your purchase is protected by the policy that you’ve picked. Keeping these things in mind will let you have a much easier time when you’re searching for that perfect coverage.